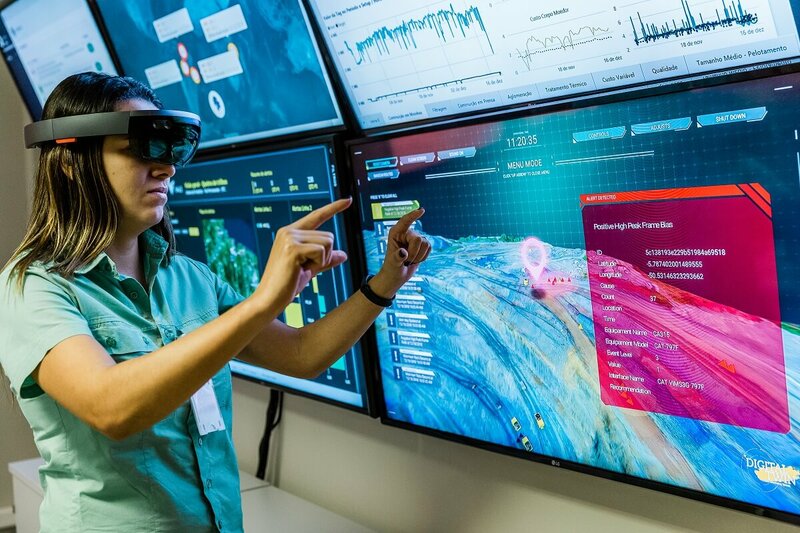 Vale S.A., a Brazilian multinational mining and metals giant, has inaugurated the Vale AI Center. Located at the Tubarão site in Vitória, it will serve all the company’s operations worldwide. Vale says that the new AI Center is part of its artificial intelligence evolution strategy. Its goal is for the Center to become a hub for the development, monitoring, collaboration, and maintenance of solutions. The AI Center has a team of data engineers, business experts, and scientists. Teams are currently working on thirteen different projects. They are working jointly with Vale’s business areas (Coal, Metals, Base, and Ferrous). They are also performing studies that will benefit employee health and safety. AI or artificial intelligence refers to software technologies that make machines think like humans. They also make them behave like humans. Some engineers say that it is only artificial intelligence if it can perform either as well or better than a human. In this context, ‘perform’ refers to human computational capacity, speed, and accuracy. – Maintaining assets, from railroad tracks to off-road trucks. – Improving the management of ore processing. – Improving the pelletizing plant processes. – Health and safety prevention.